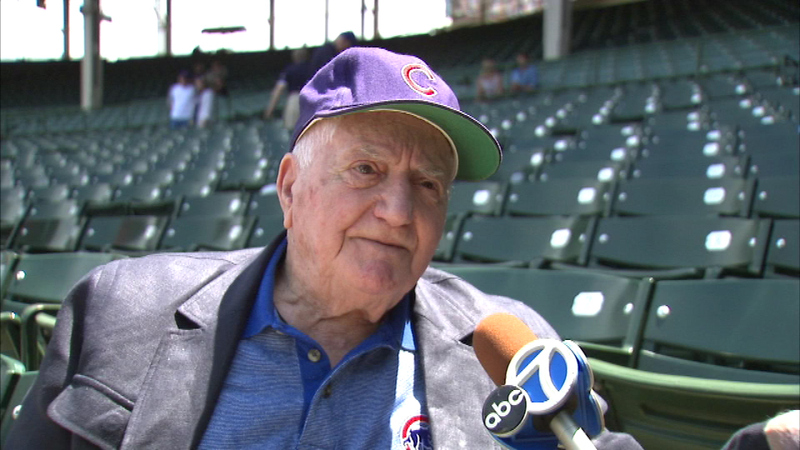 Lennie Merullo, the oldest living Cubs player, died Saturday. He was 98. CHICAGO (WLS) -- The Chicago Cubs' oldest living player died Saturday, according to a statement from Cubs Chairman Tom Ricketts. Merullo was the team's shortstop and played when the Cubs last appeared in the World Series in 1945. He was just 28 years old then. Last year, he came to Wrigley Field for a game. He threw out the first pitch and sang during the seventh-inning stretch. "We were saddened to hear the news our oldest living Cub Lennie Merullo passed away earlier today. While I have experienced many joys as owner of this great franchise, one of the most memorable was meeting Lennie last season. When the Cubs last appeared in a World Series in 1945, Lennie was a 28-year-old shortstop. Nearly 70 years later, he brought the same youthful spirit and excitement, as he threw out the first pitch and led the entire ballpark in singing "Take Me Out to the Ballgame'" joined by family and friends. If there was any doubt Wrigley Field does make dreams come true, you could look into Lennie's eyes beaming with joy as he visited his beloved ballpark for what would be the last time. He told everyone he would never forget that day. To his family, friends and loved ones, our organization will never forget him."